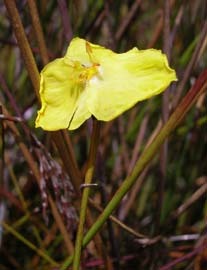 The only genus of Xyridaceae in Tasmania is Xyris. 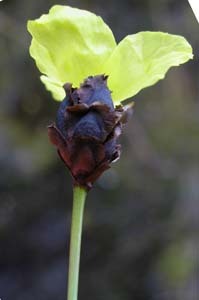 Tasmania has four native species of this genus. 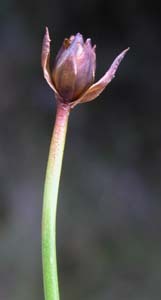 These all erect herbs of waterlogged soils or swamps. 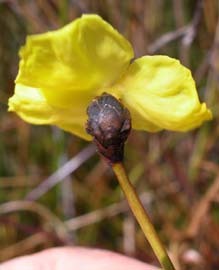 They have narrow basal, grass-like leaves and erect stems topped by a head of several flowers (usually only one of which is open at any one time). 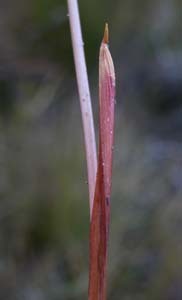 The stems are distinctive - they are cylindrical but are helically twisted. 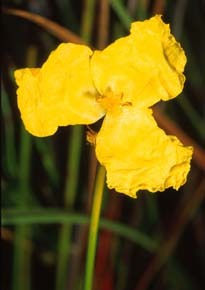 The flowers are also distinctive - they have three bright yellow and conspicuous petals.